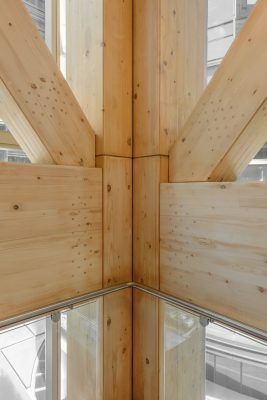 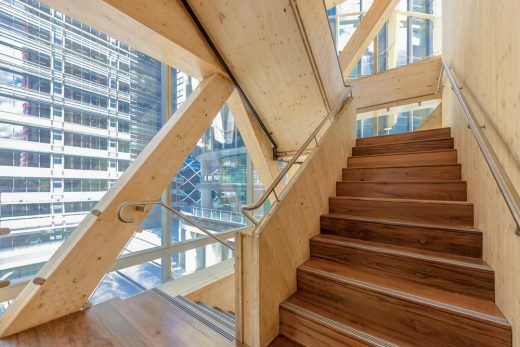 The world’s tallest engineered timber commercial building. 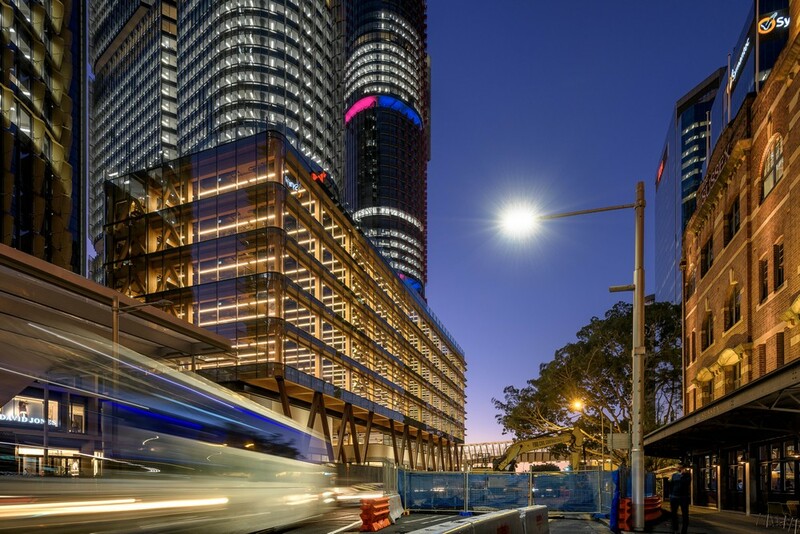 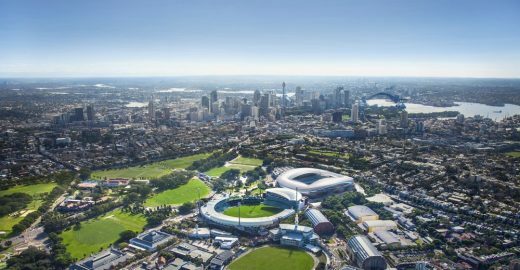 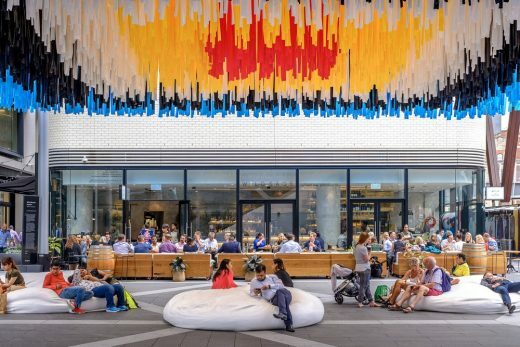 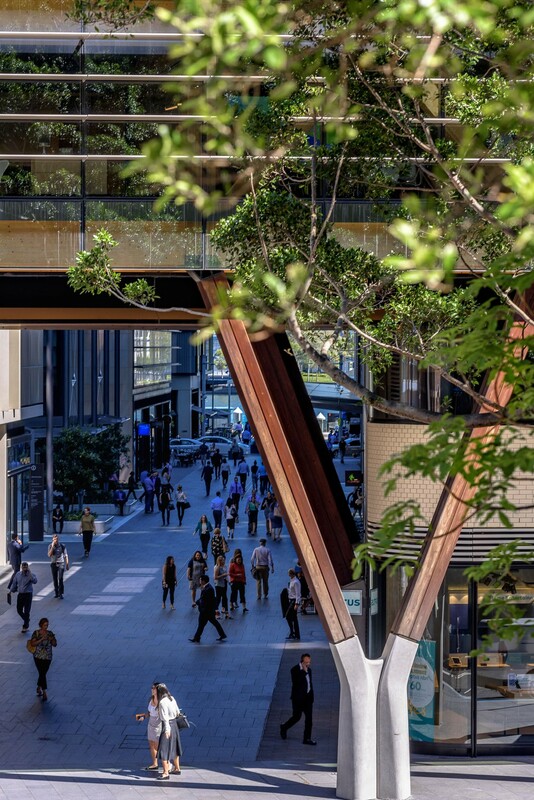 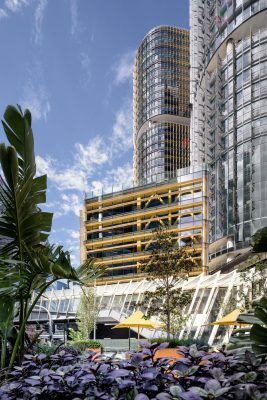 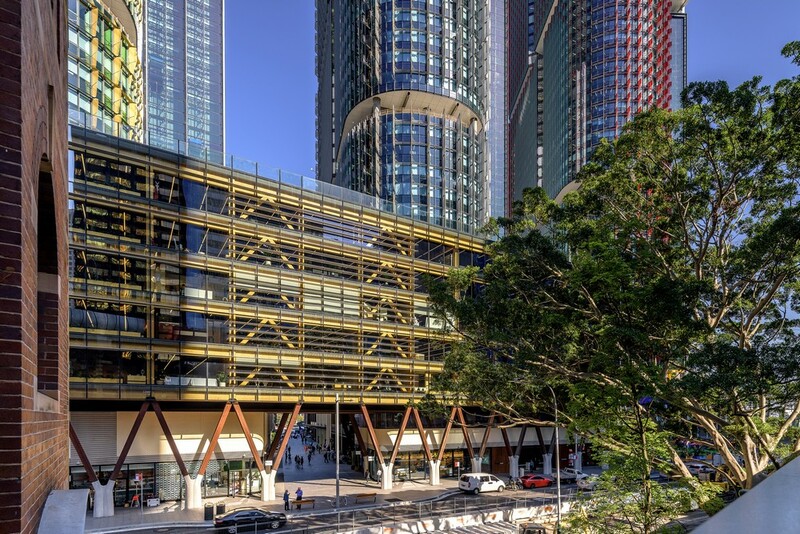 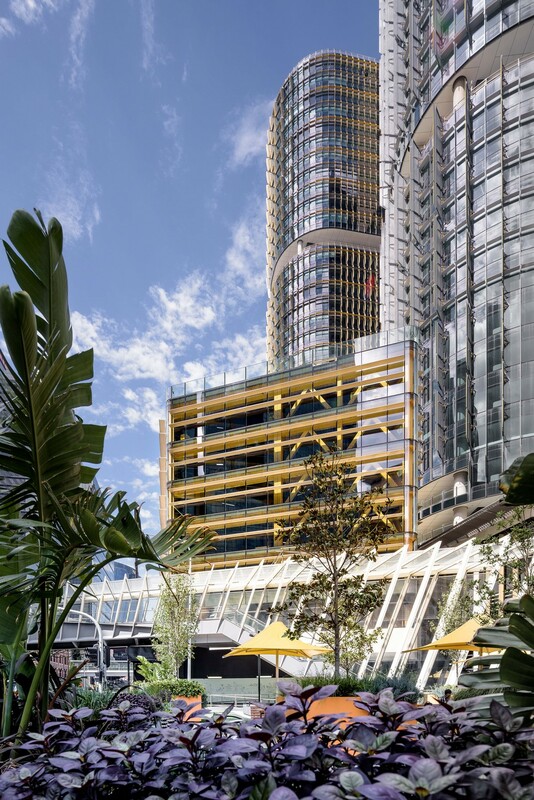 ‘International House’ forms a new public place for Sydney, and a pivotal connection between the newly formed precinct of Barangaroo and the historic heart of Sydney CBD. 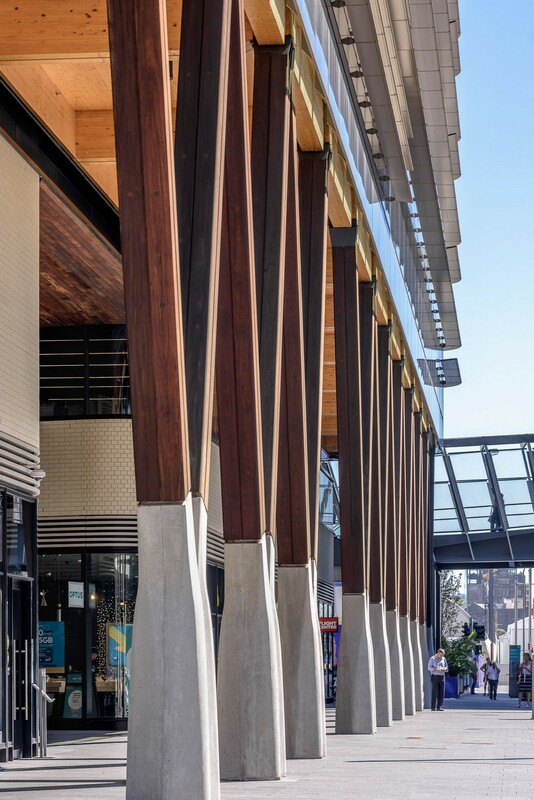 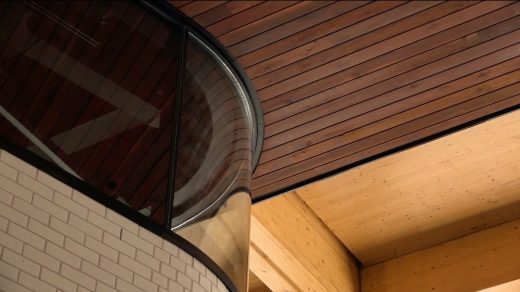 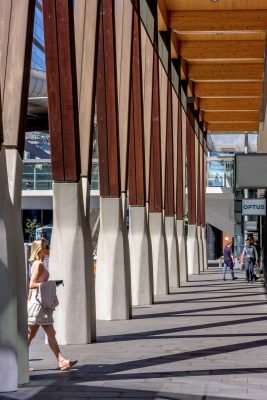 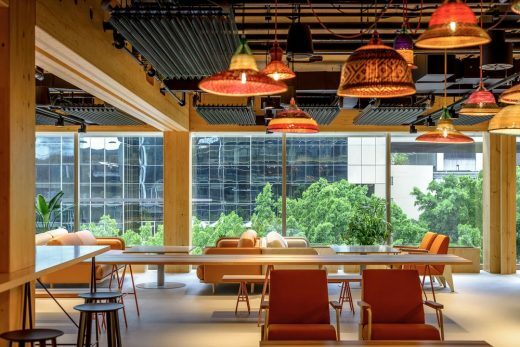 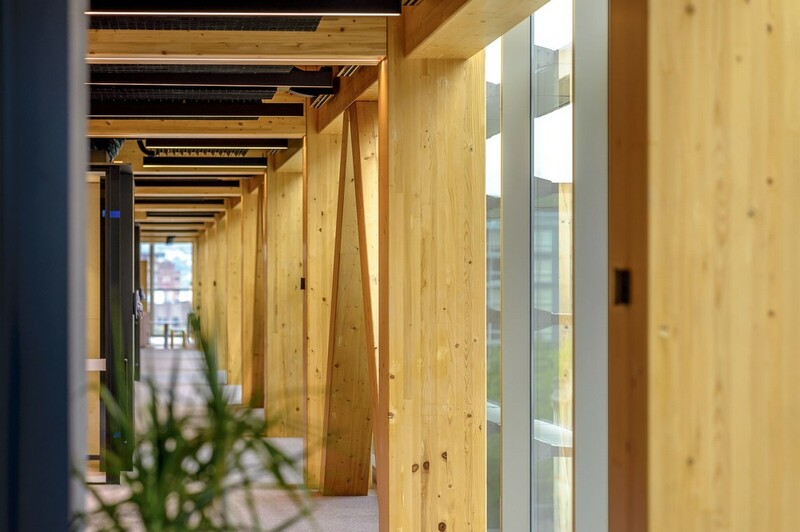 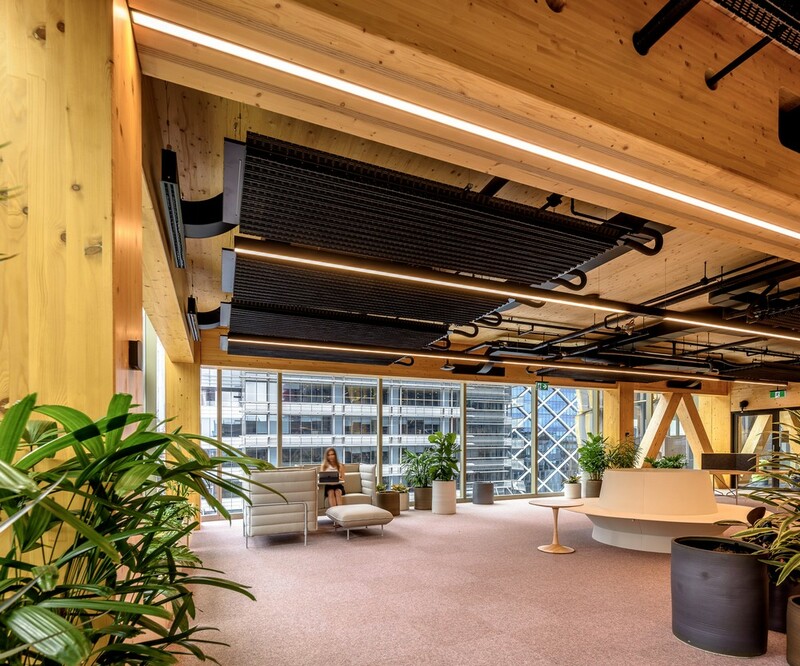 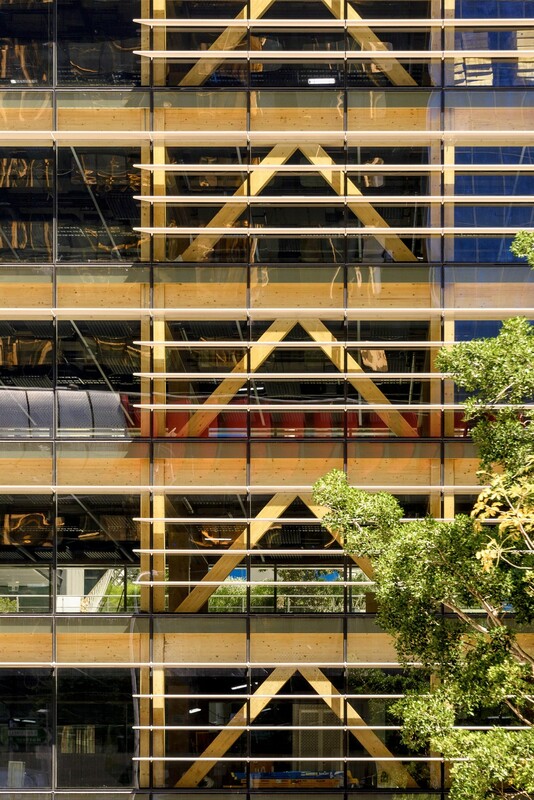 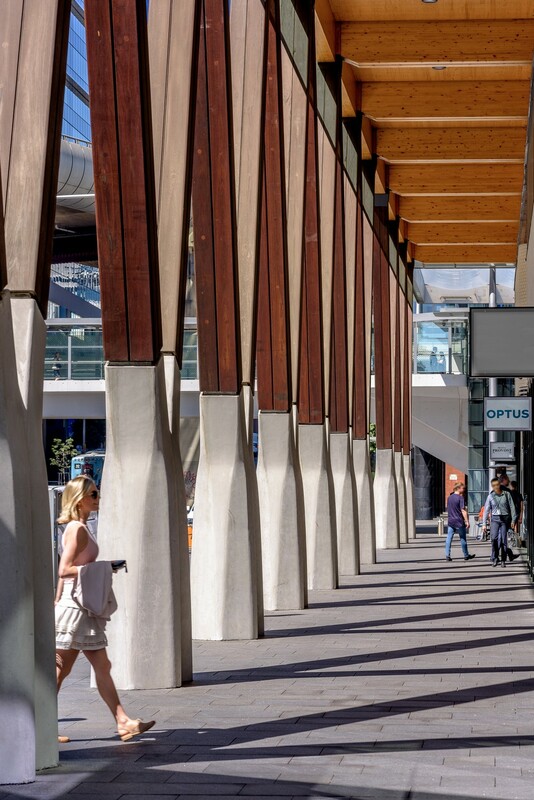 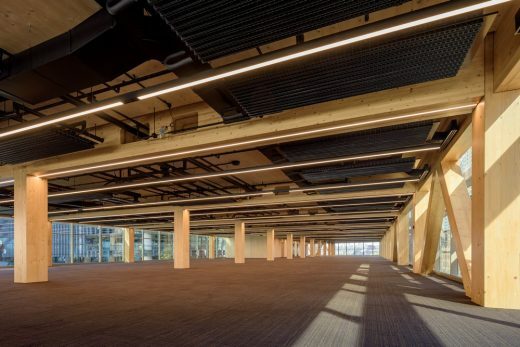 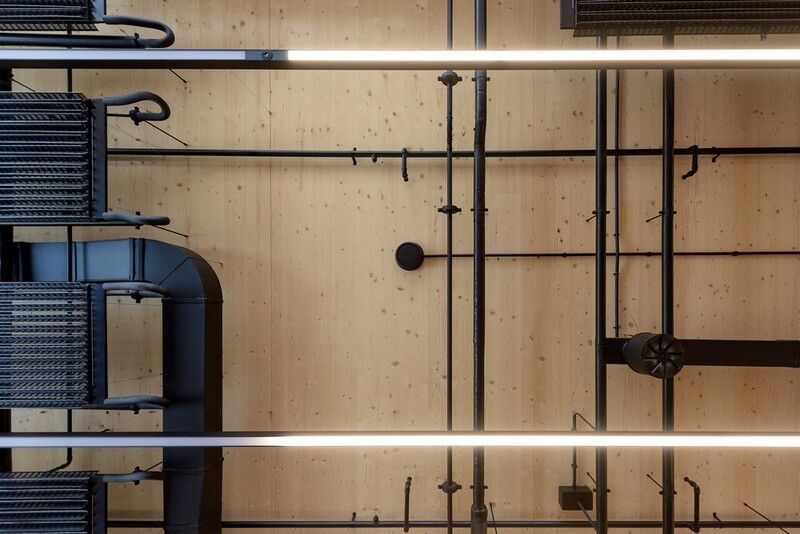 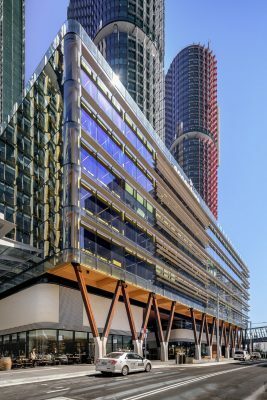 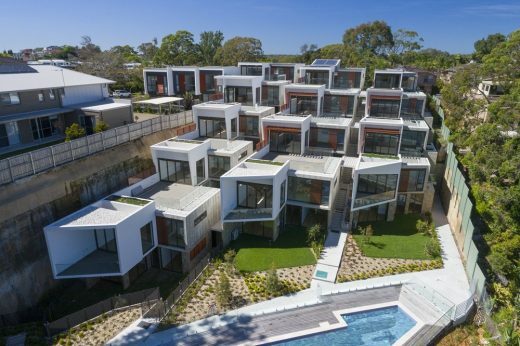 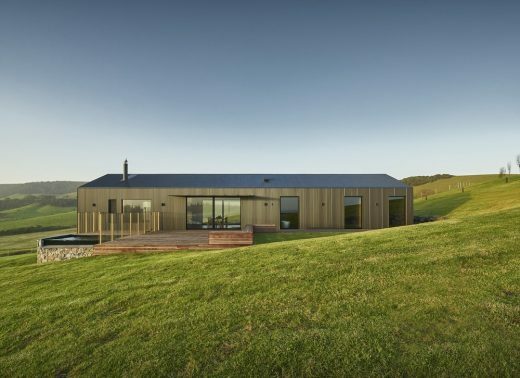 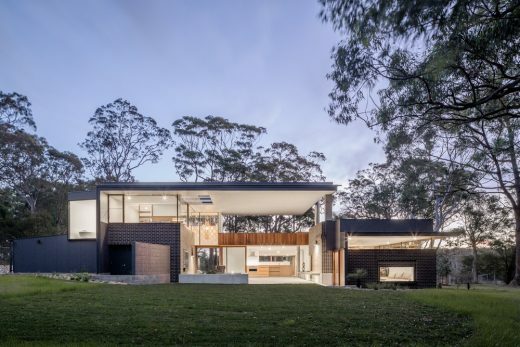 The building manifestly demonstrates leadership in environmentally sustainable design and fosters good health and wellbeing for the office users of the building through the authentic and integral use of a combination of structural mass softwood timber and recycled Australian hardwood construction throughout. 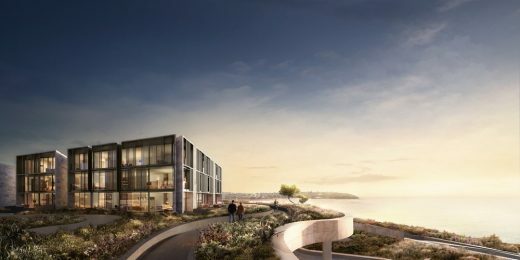 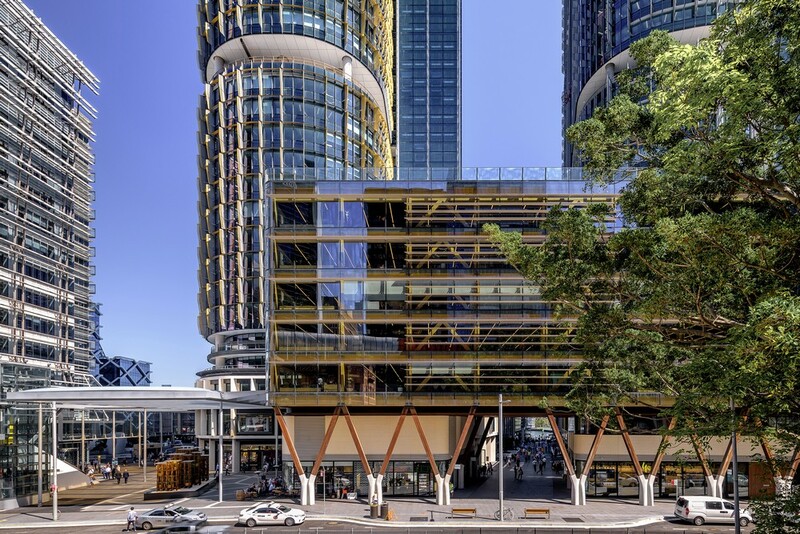 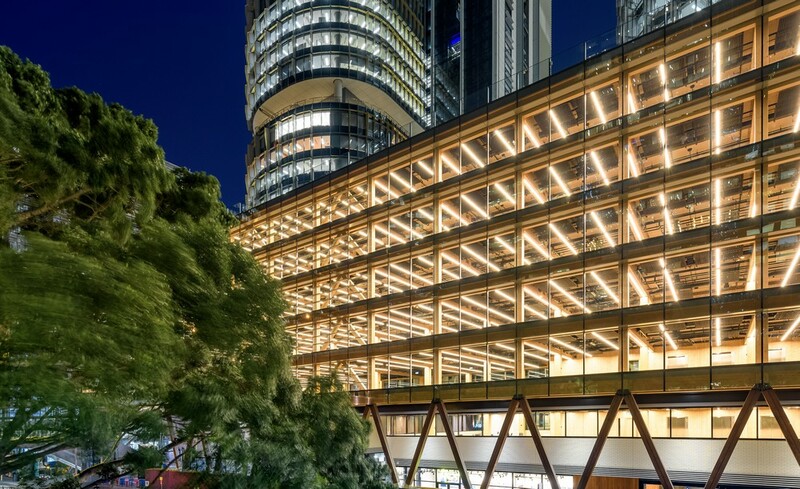 According to the architects, International House Sydney, a seven-storey commercial building designed for Lendlease, is located at Barangaroo South in Sydney. 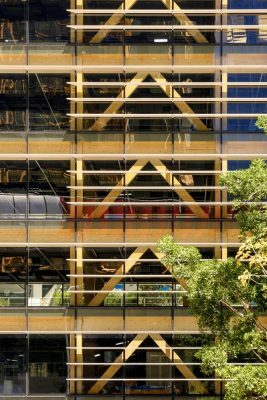 The timber structure building will be the first modern commercial engineered timber building of its size and type in Australia.